Join us Tuesday, October 14, for a presentation by Professor Andrew Mahon of the CMU Department of Biology. 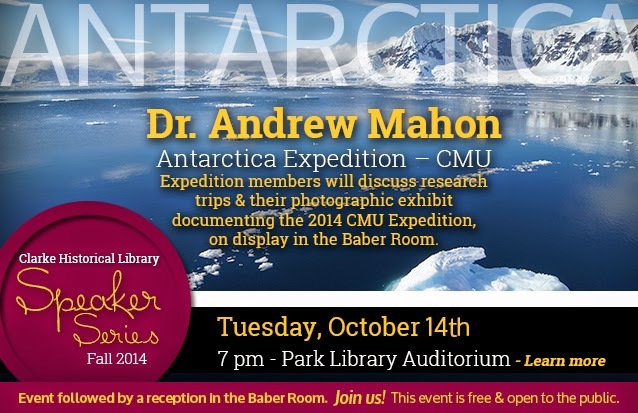 Professor Mahon and colleagues who joined him on his expeditions will speak about their research trips to Antarctica. You will learn what they did and why it was so important. 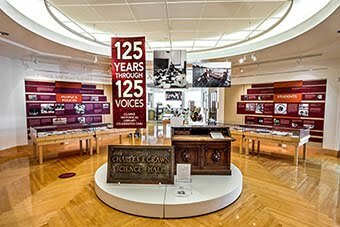 Following this event will be a reception in the Baber Room where you can view the photographs taken by the team during their 2014 CMU expedition to the beautiful continent of Antarctica. You won’t want to miss this opportunity to hear from those who made this extraordinary journey!